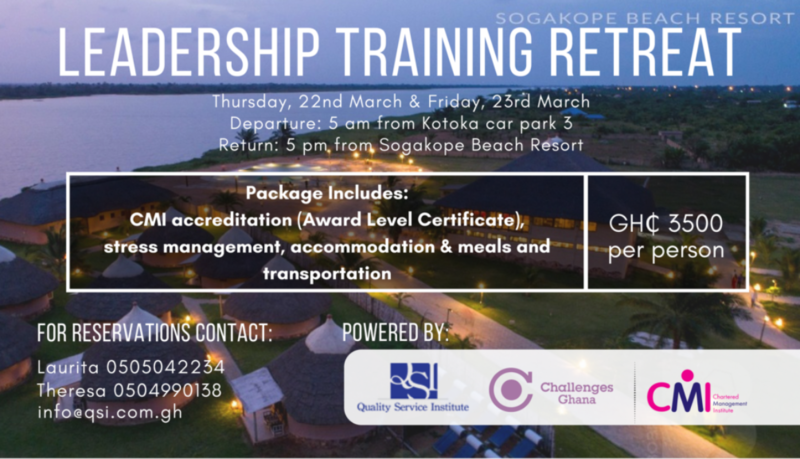 Challenges Group Ghana is excited to be partnering with Quality Service Institute (QSI) to offer an exciting Leadership Training Retreat at the beautiful Sogakope Beach Resort, Ghana. This training programme is accredited by Chartered Management Institute (CMI), UK and focuses on understanding and applying leadership skills and understanding of ethical and cultural issues within an organization. Challenges Worldwide’s strategic partnership with the Chartered Management Institute (CMI), UK, comes at an opportune time. In the past three years, we have consistently contributed to emerging market economies and the domestic private sector through consulting interventions for small and medium-scaled businesses (SMEs). Simultaneously, we have built capacities of young people in-country using CMI’s professional consulting modules to become consultants and primarily problem solvers. Our contributions are evident in the 400+ SMEs we have engaged within Ghana, Rwanda, Uganda and Zambia with many making great and tangible strides to growth with increased revenue, profit and operational efficiency through our timely support. The strategic partnership with CMI which comes along with the opportunity to offer Management and Leadership modules as part of our CMI offerings/portfolio provides us with a structured pathway in steering businesses and organisations towards growth through capacity building of its leaders and staff. Leadership and management competence is essential to business success. The Global Accelerator Learning Initiative (GALI) in its recent publication, while highlighting insights on business accelerators within emerging markets showcased the importance of management quality as key attribute for investors. As an investor rightly iterates; “With a strong team, context doesn’t matter” (GALI, 2017). We at Challenges Worldwide (Challenges Group Ghana) recognize the pivotal role of strong and skilled managers or leaders to the growth and success of any business (local, international, big or small) and are committed to using our resources and expertise to enhance the knowledge and skills of entrepreneurs, supervisors, mid-level and senior-level managers operating within emerging markets. The CMI Management & Leadership modules are designed to support leaders to implement best management practices within their businesses creating corporate cultures that stimulate growth and efficiency. In our work with SMEs, 3 major challenging areas within SMEs have been discovered; financial management, sales and marketing, and leadership. Our CMI modules which are inherently activity-based and reflective learning addresses these challenges to support managers to adequately improve their internal process to satisfy stakeholder needs and expectations. It is often contended that small businesses especially in emerging markets are not ready to learn how to properly implement best practices to ensure efficiency in operations and proper quality management; these only become necessary when they are huge or growing. We at Challenges Group Ghana/Worldwide think otherwise. We are eager to learn along with managers and entrepreneurs to help implement the world’s best practices in project, financial, quality and operational risk management in small businesses and giant businesses alike. An SME operating efficiently just like any huge global brand, has a relatively high likelihood of survival and growth. Our partnership with QSI in March (22-23) provides the opportunity for us to facilitate learning on a boarder scale for business leaders and managers across Ghana. Come on board on this training program aimed at enhancing management efficiency using CMI’s module 5012 – Being a Leader; to support managers and entrepreneurs to be better leaders and to build sustainable and efficient corporate cultures, ultimately, contributing to business growth with a broader impact on Ghana’s economy. Did you do anything similar to the CW ICS programme before you were 35? Do you feel that it would have benefitted your career? Yes most definitely! 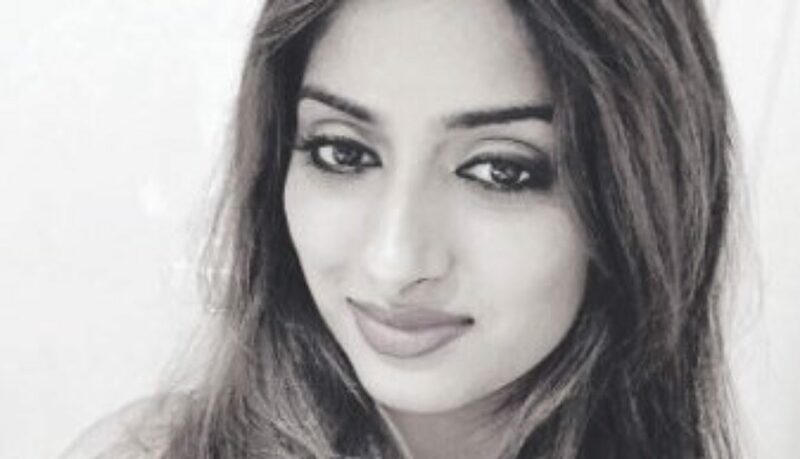 It would have shown future employers that I could work for a developing community supporting a good cause internationally and challenging myself voluntarily. It would have also enhanced my career by working in a different environment and culture where I had to adapt to the local people and use my knowledge and skills in a suitable way. It would have been amazing to take away a rewarding experience that could add a unique and extra dimension to my career and personal growth. What is your most recent position, with what organisation and which sector was this in? I currently work as a ‘Technology Consulting Analyst’ for a Global Fortune 500 Professional Services company called Accenture. We work with businesses on large scale Technology and Transformation projects. During my time here I’ve worked on four different projects in a variety of industries which makes my job very exciting! I get the opportunity to do different roles and gain new experiences each time. My first ever job was at the age of 16 working part-time in a shoe shop. I absolutely loved it as I interacted with customers and learnt how to provide good customer service as well as stand on my feet all day. I then did two other part time jobs in retail whilst I studied and eventually trained as a Primary School Teacher. I worked with 7-9-year-olds for a few years and then challenged myself by embarking on a totally new career in Recruitment. I did this because I really wanted to learn about a new industry, expand my skills and knowledge. I dreamt of having a job in the city where I could combine my experience from teaching with something new. Who has had the biggest impact on your career and why? A variety of people including friends, family and anyone who had an interesting story. I would read magazines a lot whilst growing up and found inspiration from successful people, celebrities and famous people. In the past few years, I met a variety of people in my professional and social life who collectively inspired me the most! They all bought something unique as individuals and fed my hunger to explore new experiences and follow my ambitions without them even realising it. I wanted to be like them as all these people showed me that you can have a successful career or a change in career if you work hard and believe in yourself. You just have to have the right attitude and be passionate! Meeting them encouraged me to take risks and be confident because I was determined to gain further success improve my lifestyle and future job prospects. What are the most important things to ensure your career continues to progress? Network! It’s always about who you know, create connections everywhere you go and new opportunities will open up. Identify who the decision makers and key people are at work, people should always be aware of your presence and know what your skills and capabilities are. Building relationships at work is crucial as it will help you do your job better, give you recognition and when it comes to promotion you will have a network that can support you. It is also important to network outside of work as you can learn so much through meeting new people who can help you with your career or the things you enjoy doing in your free time. Gain new experiences and have fun! You can grow your network by doing a hobby, participating in sports, volunteering or just socialising with friends. You will find that the more diverse your professional and social network is, the more inspired and confident you’ll become as a whole. You will have a wealth of knowledge and a broader understanding of the world which is advantageous. Have confidence in aiming high and developing yourself constantly. Set some goals short term and long term, don’t be afraid to take risks. Attend training whether it’s online or in a classroom, read about your industry and keep up to date with the news and competitor activity. Join professional networks on social media and get involved in events or voluntary work, try new things. Don’t be afraid to fail! Failure teaches valid lessons you and helps you grow. You may not get to your desired ambitions straight away! So take it one step at a time and your hard work and persistence will pay off. Ask questions at work – don’t be shy. People are always willing to help if you ask nicely and will support your curiosity and enthusiasm. Create opportunities to shadow colleagues that are more senior to you and mentor junior colleagues. This way you are learning and observing from those advanced in their career path and with junior colleagues, you can you apply what you have learnt and guide them on their journey. 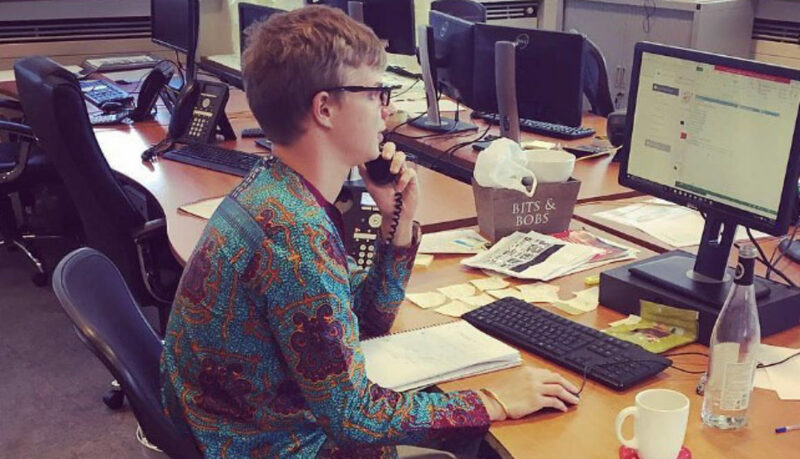 What three things do you look for when hiring a young person? What is the most difficult interview questions you’ve ever been asked? Hopefully, it’s none of these questions! I usually do thorough interview preparation, research the company and industry beforehand. However, I’d advise you not to do too much of this as you want to sound natural in interviews and not like a robot reciting facts. Think of examples which show typical attributes that the interviewer is looking for in the job you are applying for e.g. problem solving, teamwork and leadership. Even if you can’t think of examples from you professional life, or if this is your first job then it’s perfectly fine to pick examples from your personal/academic life and talk about how you handled a certain situation, e.g. project work in university shows collaboration, participating in a sports demonstrates teamwork and competitiveness, baking cakes exhibits creativity and patience etc. You get the idea. The more interviews you attend, the better you will become at them so don’t be disheartened if you don’t get a job straight away, it’s good practice. The only questions I have found difficult are those that may relate to a skill that I do not have experience in. So in this situation, I would answer how I could develop it if I got the job and show my willingness to learn. If you display enthusiasm and excitement in an area you wish to progress, this is often seen as a positive thing by the interviewer. Nobody is perfect as we all have strengths and weaknesses and everyone has an area to further develop in, so bare that in mind. You just need to have that inner desire and it will naturally radiate from you in the interview. Some young people feel frustrated that they cannot get the job they are after or start a business and feel anxious about their future. What would you say to them? Don’t give up, never lose hope. As frustrating as it can be, hang in there, otherwise, it will be a downhill spiral which will make you feel 10 times worse! This is where your network and networking comes in handy. Reach out to people, ask for their advice and speak to them about their experiences and how they became successful or got their first job. Enquire about any job opportunities that they can refer or if they know anyone hiring. Think about how you can make yourself stand out from other people looking for the same job as you, acquire extra-curricular skills and activities to put on your CV. Until you get a job, undertake some voluntary work you are interested in, read about inspirational entrepreneurs and business people who have been in the same situation as you and find out how they bounced back. Do some training courses, write a really good CV and have it reviewed by a recruiter and friends. Search organisations and career advisors who can provide free guidance on obtaining a job. Attend job fairs and get involved in your university alumni as you may find people there who you can speak to and they might have good connections to employers. Invest in building a strong LinkedIn profile, as this is like your online CV and a place where most employers will check before calling you for an interview. It is also a great platform to apply for jobs, join professional groups and get tips on landing your dream job. Good luck and if you feel anxious this is normal, just find a way of understanding and managing your anxiety and you will be fine. I haven’t participated in programmes similar to CW ICS as none were available in my home country at the time. However, I strongly believe such volunteer work is a great opportunity for young people to develop work-related skills: from being a reliable team member, a positive contributor to someone else’s well-being, open-minded and flexible to deal with upcoming uncertainties and challenges, to a global citizen with wide cross-cultural horizon. And trust me, teamwork, adaptability, eagerness to learn, and cultural sensitivity are on top of the recruitment agenda of many employers! What is/was your most recent position, with what organisation and which sector was this in? I am a Strategy Consultant with Accenture – a leading global professional services company, providing services and solutions in strategy, consulting, digital, technology and operations. On a daily basis, I work in cross-cultural (often cross-border) teams to resolve client business issues and help them be successful in uncertain environments and amid rising customer expectations. 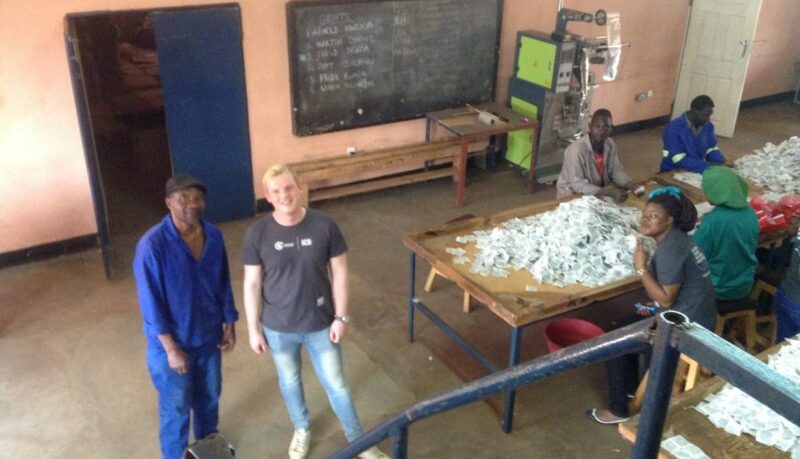 The type of work where the skills volunteering helps develop can be applied! My first “job” was helping my family grow, harvest and sell plums J. In a way, a volunteering opportunity that allowed me to be part of the end-to-end process and understand the criticality of each step for the overall success (both in terms of produce and money for my family).Early in age, I learnt to be responsible, disciplined and creative in finding ways to attract customer attention to our booth in a market that was seasonally full with plums! Last but not least, I learnt that there are no shameful jobs and you have to start somewhere! My father has been an inspiration for me as someone who rises through the ranks thanks to his knowledge, expertise, results orientation and dedication. He fell down due to circumstances beyond his control (change of the country’s political system but he swallowed the pain and disappointment, used the time off to update his skills and go through the lessons learnt, he came back and re-established himself as one of the most respected experts in his field back home and continues to repeat this process. What are the three most important things to ensure your career continues to progress? Never stop learning! A Chief Executive in our company says that throughout our careers in Accenture we remain apprentices. We never stop learning on the job through our colleagues, through self-directed training and dedicated events. Whatever the job you wish to land and be good at, be sure that you dedicate time and energy to new knowledge. Learn to manage up! Although this sounds complicated, it simply means know your boss: what is important to them, how they like to communicate and lead, how you will work together, and what areas you could help them in (by being specifically good at something or by taking some of the most repetitive tasks from them). This will earn their trust and respect, and one day pay off in terms of promotion. Don’t be afraid to ask how you’re doing on the job! In many organisations, manager’s feedback is expected as part of a formal evaluation process. But if this is not the case (and even if it is!) don’t forget to ask how you’re doing, what was good and what can be improved. Naturally, (going back to the previous point) make sure your requests for feedback are timely and reasonable. Give yourself and your manager enough time to gain and observe experience, but don’t wait too long as memories fade. Always have a mindset that the feedback is another opportunity to learn and grow. And don’t forget to apply it. I can’t think of any question in particular but all questions seem difficult when you are too nervous. Being nervous is natural but as long as you have done your homework, you’ll be fine. Although we can probably never be 100% prepared for an interview, information about our future employers is available at our fingertips in the digital age! Social media, corporate website, online articles etc. Frustration and disappointment are normal (we’re humans after all!). But don’t let them discourage you from trying again. After every interview, take some time to reflect and think what went well, what questions made you uncomfortable (and why! ), then fill the knowledge gap, and move on. Failure is part of the process. In fact, one of the major recent changes in business strategy is towards failing fast, cheaply and well. And “well” means learn from your mistakes and apply and re-apply somewhere else what was good in the first place. 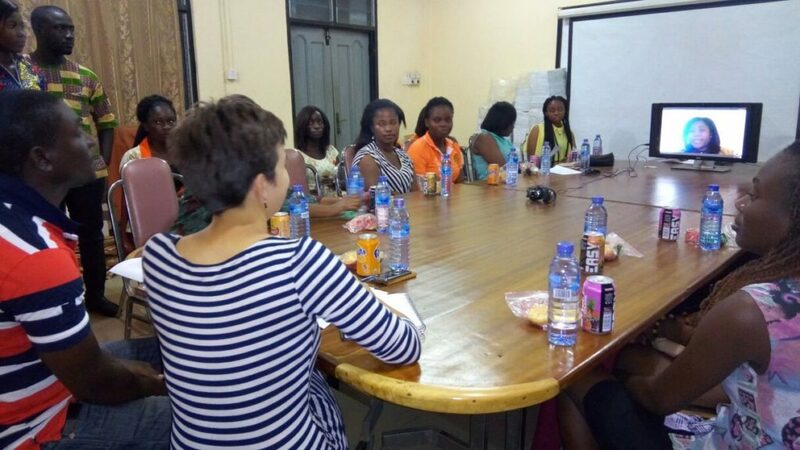 Last month I had the pleasure of attending a Women Who Code event in Kumasi, Ghana. The potential of woman entrepreneurs remains largely untapped across the world. Few industries experience this as dramatically as technology: according to the World Economic Forum, less than 20% of those working in the STEM (Science, Technology, Engineering, and Maths) are women. And yet, technology has never been more important for our increasingly interconnected societies. Social media. The YouTube generation. The advent of mobile money taking the African market by storm. Technology has already proven its capacity to fundamentally reshape our societies. It is fast becoming the creative driving force behind almost every sustainable business in our global economy. It has the potential to help overcome some of the largest issues facing the world today. However, we definitely cannot achieve these lofty heights if we continue to ignore 50% of our potential global tech workforce. Enter Women Who Code. Since its launch in 2011, Women Who Code has connected more than 80,000 women globally and produced 4,200 free technical events in 20 countries. 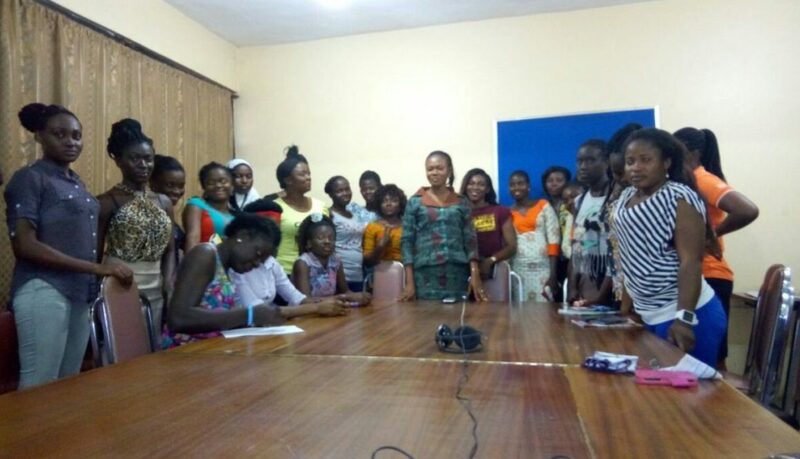 Late in 2015, Afia Owusu-Forfie created Women Who Code’s first Sub-Saharan African programme in Ghana’s capital Accra and, in the spirit of supporting innovation and community enterprises, I was delighted to be invited to represent Challenges Worldwide as the Accra branch set foot in Kumasi for their maiden test events last month. On the evening of Fri 7th October I headed down to Kumasi’s bustling Tech Junction and, after only a couple of failed attempts, secured a good price for a taxi to drive me out to Garden City University College for the ‘Excel In Your Career’ workshop I was to help lead. Thanks to impenetrable traffic and many a road trench, I arrived with just 2 minutes to spare before kick-off. I was shown into a room and was delighted to see nearly double the number of students we had anticipated. I was greeted by the friendly face of my fellow Women-Who-Coder-Afia Owusu-Forfie- who had Skyped in from the US to lead the session virtually. Over the next two hours we ‘interviewed’ five brave community volunteers one by one, all in front of a packed room. It was fantastic to see the women show a real range of backgrounds and passions and really rise to the challenge of the evening. The most interesting thing for me was to witness the similarities between the women here in Kumasi and those I’ve met back home in London during similar tech career workshops. 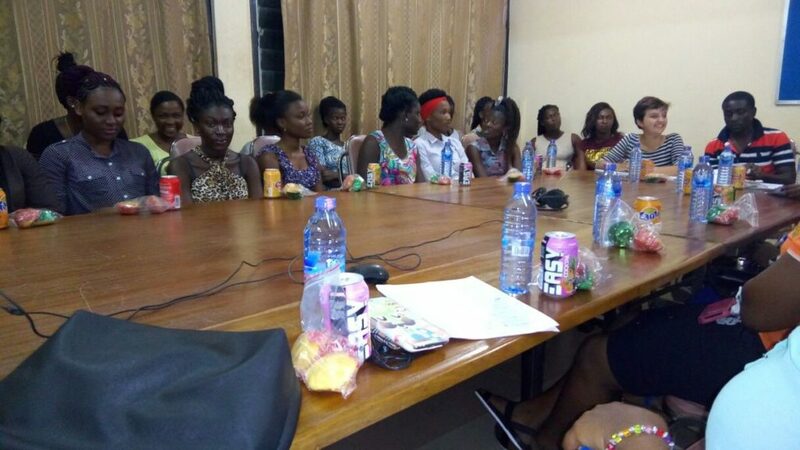 The Kumasi women had the same fears and concerns about interviews and our feedback session focused largely on the same issues with self-confidence and belief in their own awesomeness. This alone really proved to me the importance of a global network of women to help overcome these potential barriers to success. The comradery atmosphere in the room was really inspirational and, despite a couple of technical issues, a power cut and a massive downpour of rain, it was a brilliant evening where empowerment was definitely top of the agenda. For more information on the Women Who Code community check out their website or find events near you. 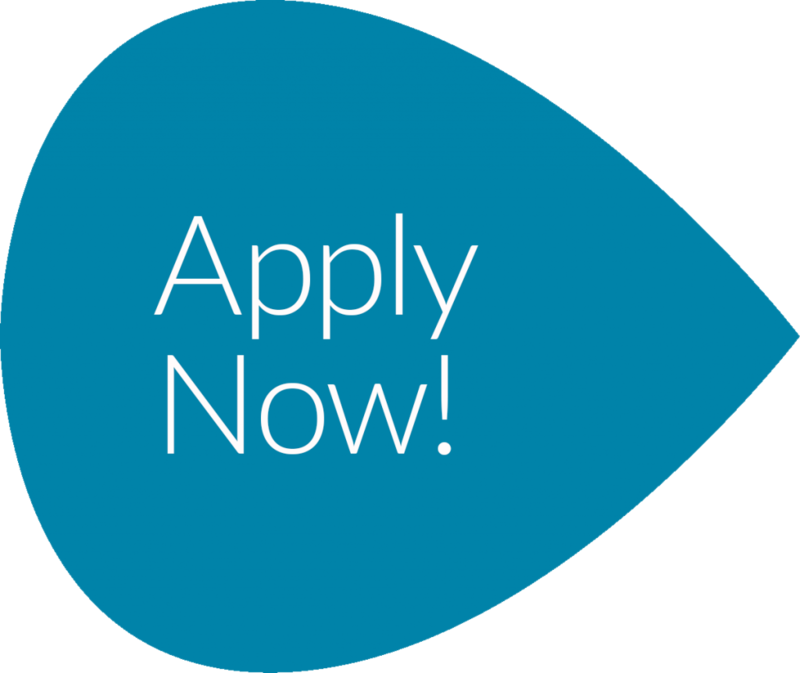 We are placing ICS (International Citizen Service) volunteers to work as Volunteer Overseas Business Support Associate for a 12 week placement. The Challenges Worldwide ICS Programme offers young people the opportunity to play a key role in delivering sustainable development projects. Our volunteers deliver support to growing enterprises in Ghana, Uganda and Zambia through delivery of the Challenges Worldwide Enterprise Support Framework (ESF). Our volunteers do not need previous business experience to deliver the ESF as during the programme we deliver weekly face to face training in Professional Consulting. Training is accredited by the Chartered Management Institute (CMI) and after the programme volunteers will be invited to complete an assessment and gain their Level 5 qualification in Professional Consulting at an exclusive rate for volunteers. 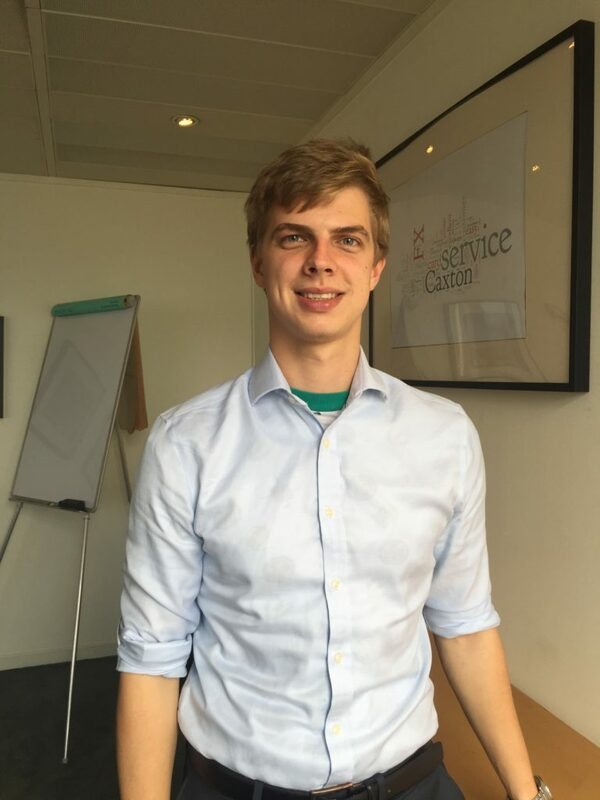 As a Challenges Worldwide ICS volunteer you will work together with a local volunteer to have a direct positive impact on small to medium sized enterprises as they seek to access trade and finance deals. 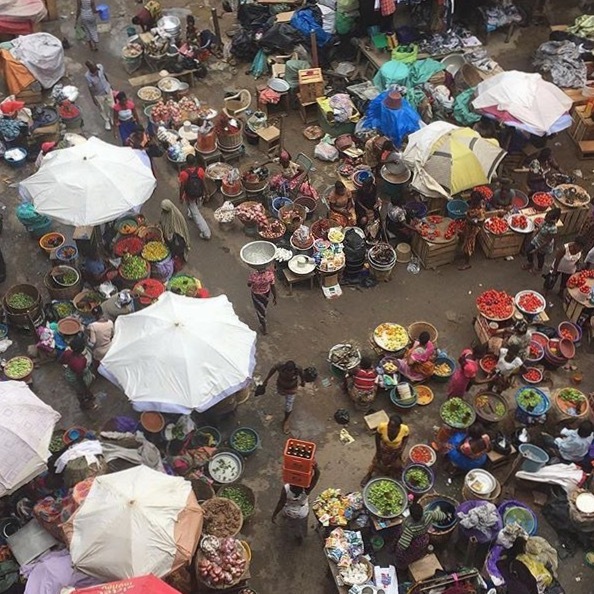 These experiences will develop your professional skills, enhance your employability and help you recognise the vital role of economic development in reducing poverty worldwide. The programme is fully funded by the UK government so you don’t need cash or qualifications to take part – just the courage to try and the resilience to see it through. 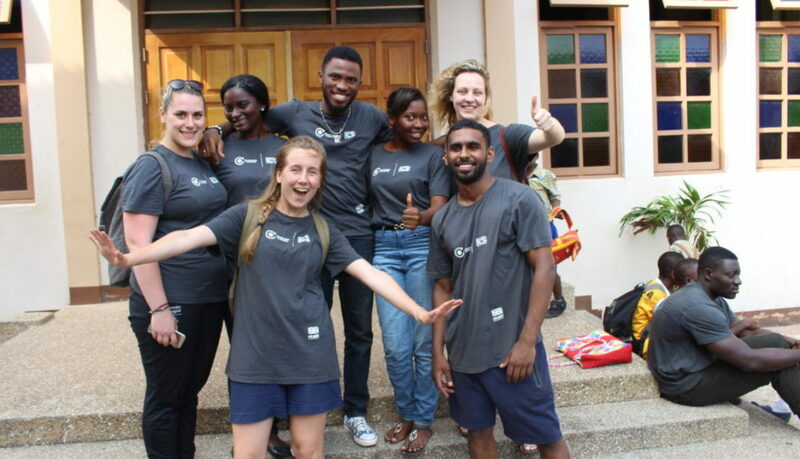 However, to show commitment volunteers are required to fundraise to secure their placement – the proceeds of the fundraising are used to ensure the sustainability of the ICS programme. Past volunteers have worked in a variety of sectors from businesses producing banana wine, coffee liquor, healthy fast food, nutritious cereals, bio-mass for clean energy, natural pineapple juice and many more. This is a fantastic opportunity for young people to gain international business experience and enhance their employability. The role of an ICS selector is vital to the volunteer assessment process. Selectors will assess the suitability of applicants against the ICS selection criteria through structured one-to-one interviews and observing group activities. This is a great opportunity to engage with the leading international volunteering programme in the UK and to support young people at the beginning of their Challenges Worldwide ICS journey. Assessment days generally run from 9.30am – 6pm, and can be full on and tiring days, therefore we require selectors to have stamina, flexibility, and enthusiasm. Selectors will be able to utilise skills and information gained through previous voluntary experiences, and have an opportunity to build strong assessment and facilitation skills. This is a great opportunity for you to see ICS from the inside and improve your own interview skills. This week we were given a presentation by Product of Prison during CMI training. The talk was highly engaging and very informative on the work that POP does across Uganda. Product of Prison is a Dutch NGO operating in Uganda that provides skills to inmates in 7 prisons across Uganda. Their focus is on the rehabilitation and reintegration of prisoners back into society upon the completion of their sentence. Prisoners usually have few to no prospects of finding employment after jail and so are much more likely to redrawn into the cycle of poverty and reoffending. Product of Prison aims to equip inmates with vocational skill and knowledge and behaviour training to stop this from happening. 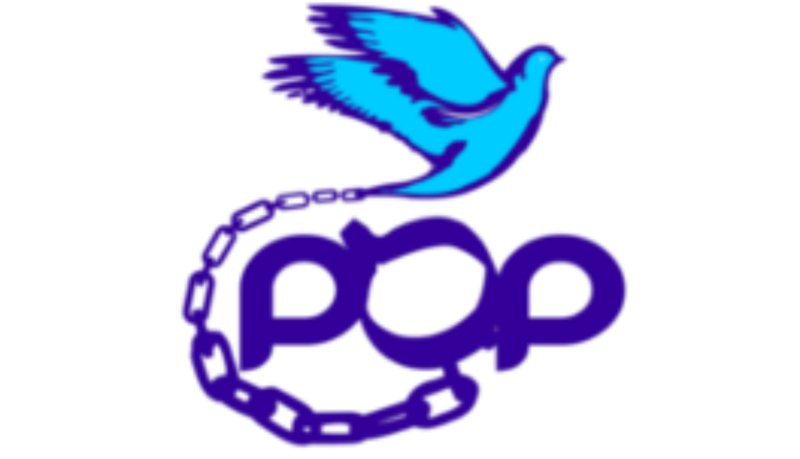 So far POP has been active for 6 years and helped 3600 prisoners to improve their lives upon returning to their communities. 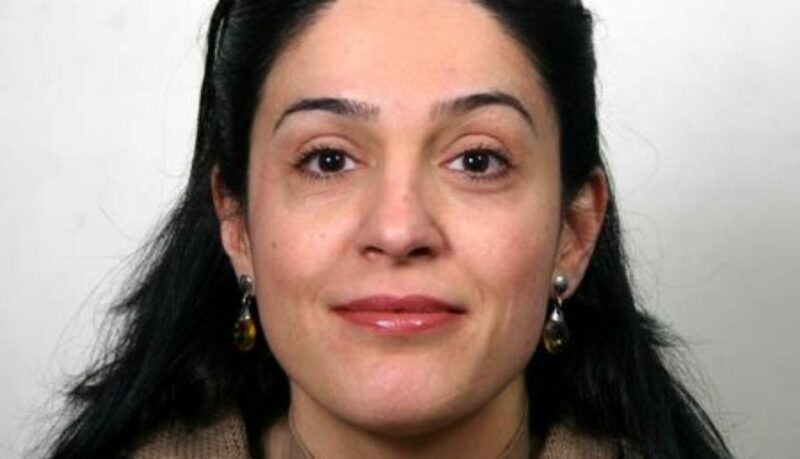 POP’s vision is that prisoners carry out their sentence in a service where their human rights are respected and are treated in a humane manner. All the while their time in detention should be used to acquire the necessary skills for reintegration and life outside of prison. These courses are set up to provide the prisoners with business and craft skills that would enable them to set up their own small business upon leaving prison. They are also paid for each item that is sold in shops and through the NGO which gives them a little income to afford food and materials once back in their community. Vocational skills are further enhanced by knowledge training sessions that occurs at all locations. These include career, reintegration and computer skills. Wellbeing and enhancement training is also provided at multiple locations, this includes yoga and break dance glasses and an annual sports tournament to educate the prison guards in keeping the inmates active and healthy.